The Santander to Portsmouth ferry route connects Santander, the capital city of the Cantabria region in north east Spain to Portsmouth, a port city in Hampshire on the south coast of England. The ferry route is operated by Brittany Ferries. There are up to 3 crossings per week. The crossing time is approximately 1 and 15mins. The route accepts vehicles and foot passengers. 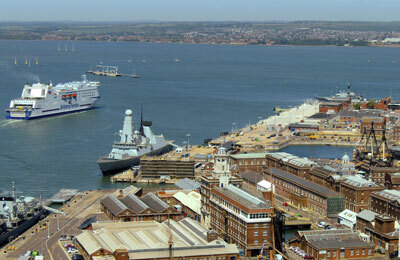 With AFerry we always give you our best prices for ferries from Santander to Portsmouth. No matter which page you book from we always include all our special offers. And there is no need to look for a discount code. If we have an offer available, your ferry price will include the reduction or offer. There's no need to look at other websites. 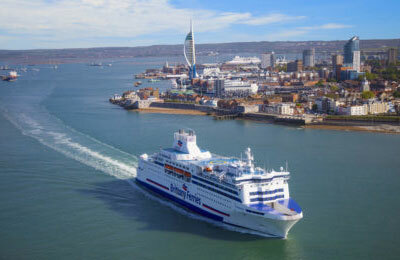 If you're not sure if the Santander to Portsmouth route is right for you or you can't decide between ferry companies, if there is more than one, you might also find it useful to read any reviews we have available. We ask all our customers to send us reviews for Santander to Portsmouth ferries. Remember though, that the earlier you book, the cheaper prices normally are. So don't spend too long deciding! 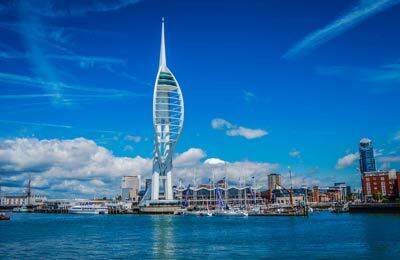 Santander to Portsmouth is a popular route, so we advise you to book as soon as possible. First time travelling through Sandander and it's a must for the future. The check-in for foot passengers is so convenient. Five minutes from the railway station and literally across the road from the centre of the city. Brittany Ferries is a really good company to travel with. Never expected entertainment for a 24 hour sailing! We have travelled this route several times and this has been the best so far. The weather played it's part but the ship was accessable and the WiFi was the first time I have been able to connect. All in all a good trip and I will aim to rebook this ship again. Travelled on this route January 2019 Very little to do for 30 hours, and a lot of engine vibration and noise in cabin 6138, Staff pleasant enough. Bedding clean as was cabin and bathroom. The hot food was disgusting. Nothing was hot, tepid being the best and on a cold plate so it was cold when you ate it. Casseroles for dinner with cold Smash and tinned peas. vile. I wouldnt feed it to my dog. God knows when the casserole was made maybe it was Christmas leftovers. Full English for breakfast with bacon that was tougher than my shoes, and again cold so the whole thing was inedible. If you travel this route, buy some microwaveable food packs before you board as you can then have hot food as there are microwaves in the cafe. Terrible in my opinion.